If there is a singular place on Earth that the Overland International team holds most dear, it would have to be Iceland. Over the course of the last few years virtually everyone on our team has visited this tiny island nation, some for a few days, others for weeks on end. Its many charms speak to us in varied voices, all of them calling us to go back when the opportunity presents itself. 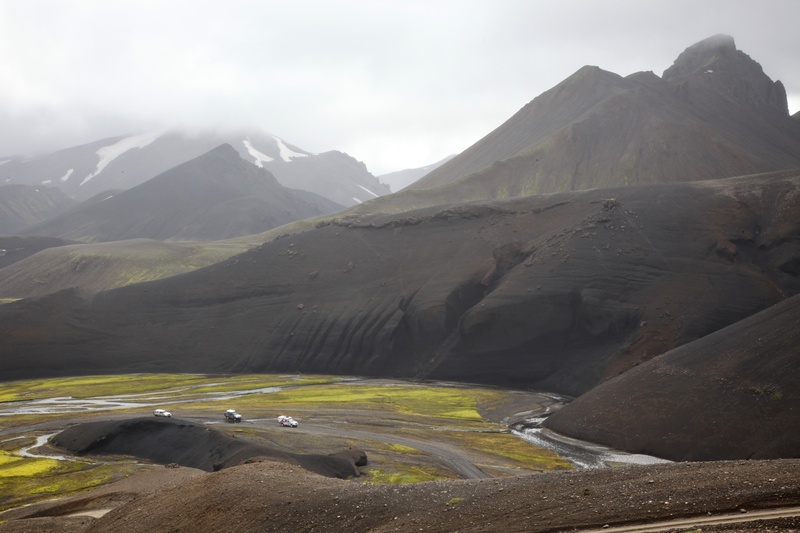 As an overland destination, Iceland is without equal. 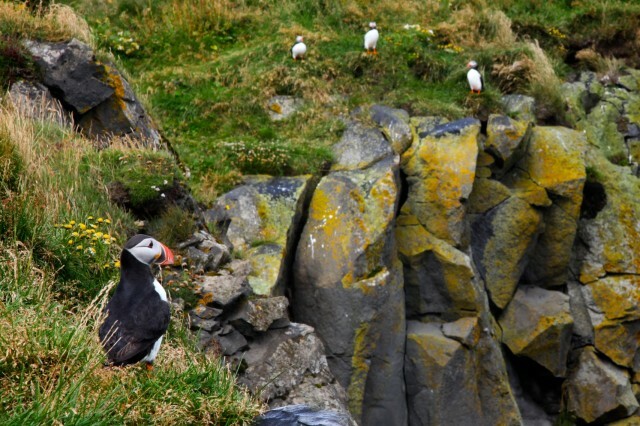 The island’s natural and cultural treasures are unique and unspoiled. Drawing on our affinity for the land of fire and ice, we have assembled our very own destination guide tailored to the overland traveler. 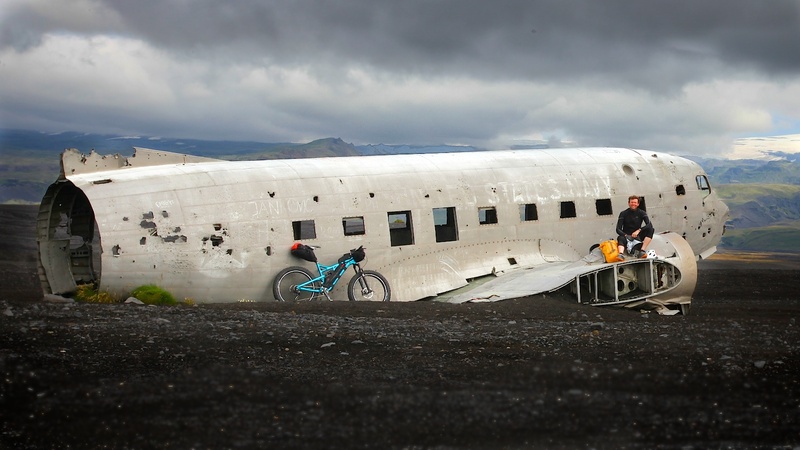 As the touring season in Iceland approaches, it becomes all too tempting to book another ticket. 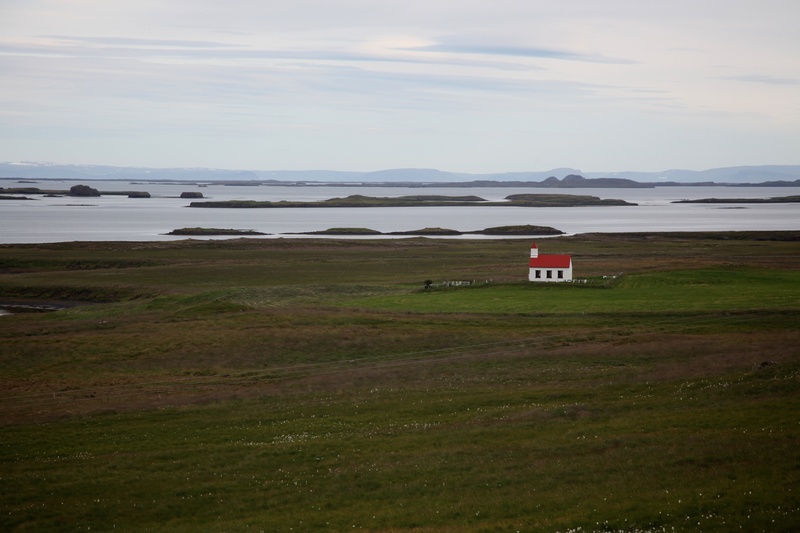 Iceland is a small island nation positioned roughly halfway between Greenland and Norway in the North Atlantic just below the Arctic Circle. 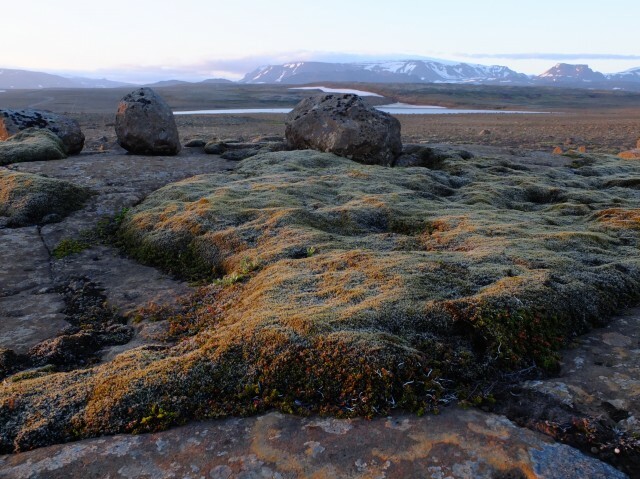 A volcanic island still growing in size, it is relatively new in geological time with parts of the island having only been formed in the last several decades. 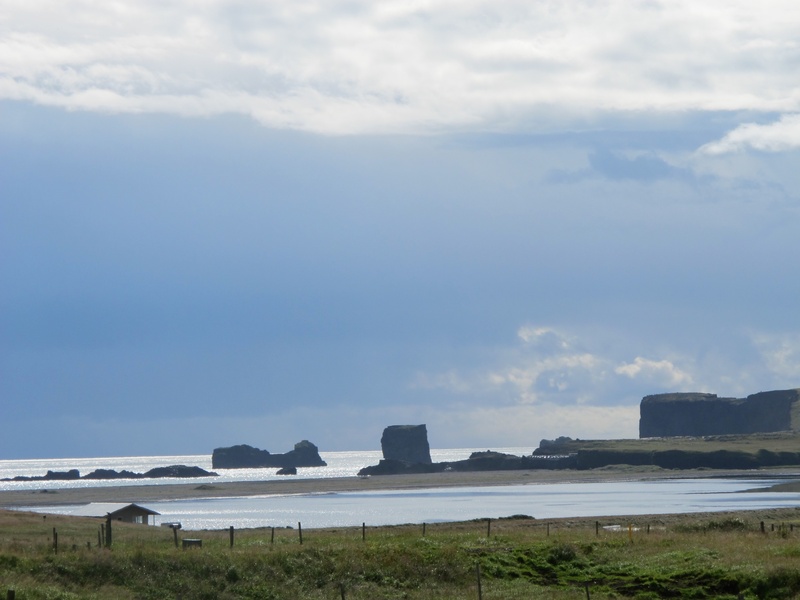 Only recently settled 1,000 years ago, it has a dynamic natural and cultural history. 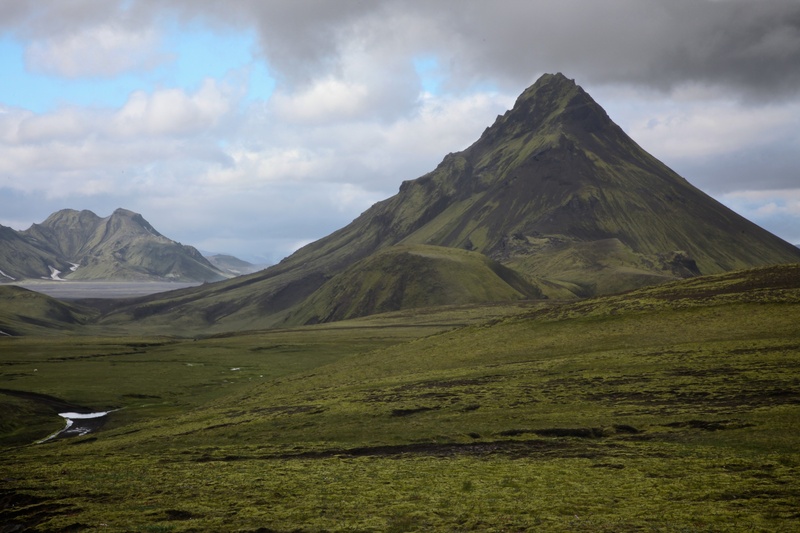 Regularly shaken by volcanic eruptions with mountains capped with some of the largest glaciers in Europe, it has long been referred to as the land of fire and ice. 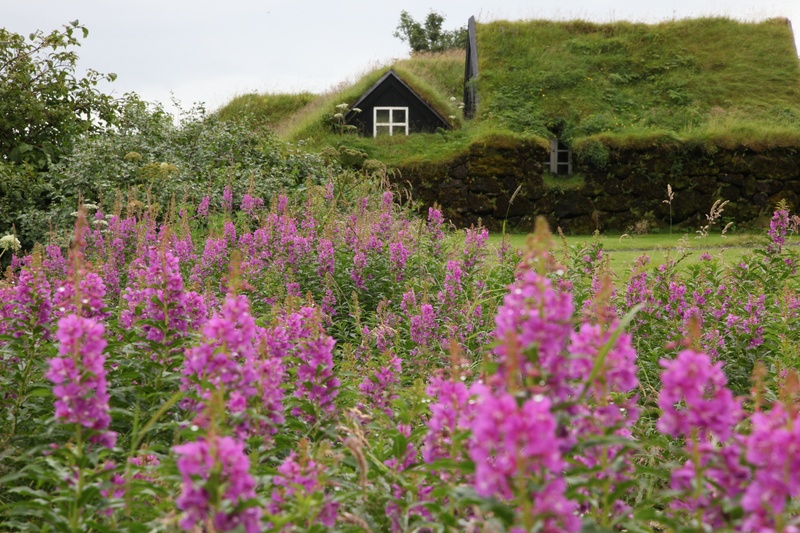 Home to legendary vikings and the mystical lore they brought with them, Iceland can at times seem otherworldly, or at the very least––timeless. 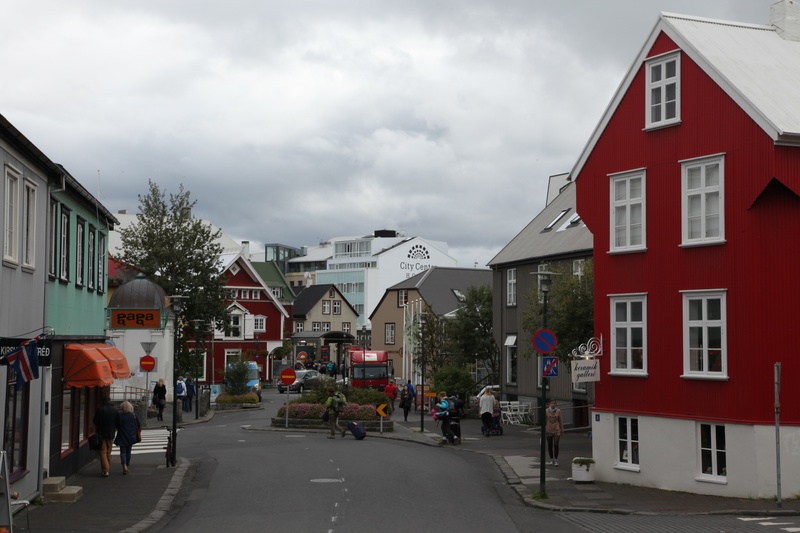 With a population of just 327,000 residents, more than 75% of those people live in or around the capital city of Reykjavic on the western edge of the island. The remaining inhabitants live in the many tiny villages and small towns that ring the island. 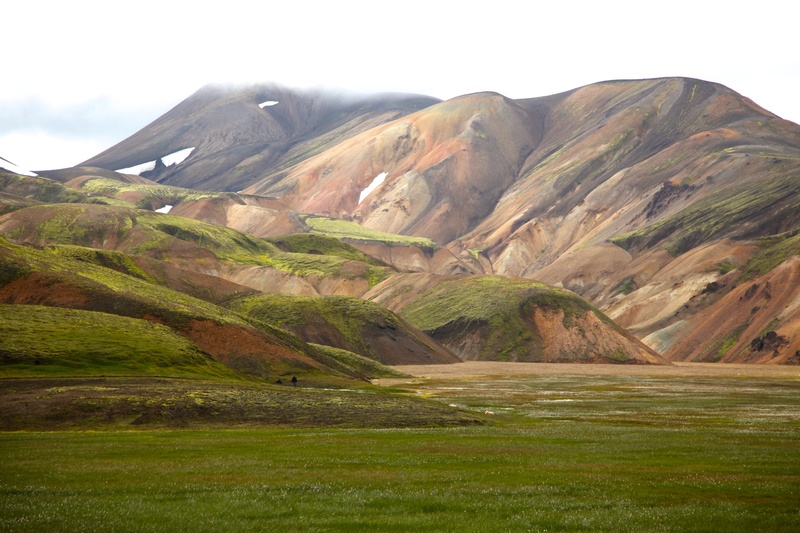 The interior of Iceland is largely undeveloped with virtually no villages and very few roads. 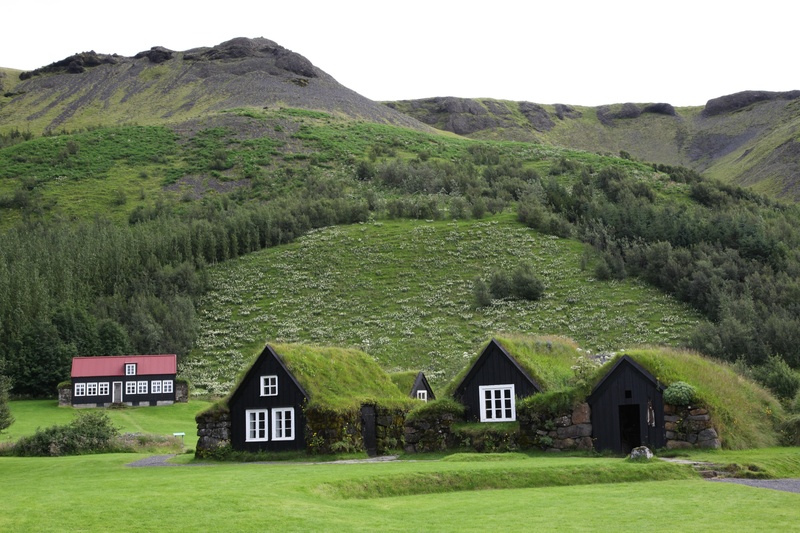 The best time to visit Iceland is––now. Because of the recent boom in tourism, even those months previously considered to be the off season are becoming more popular. 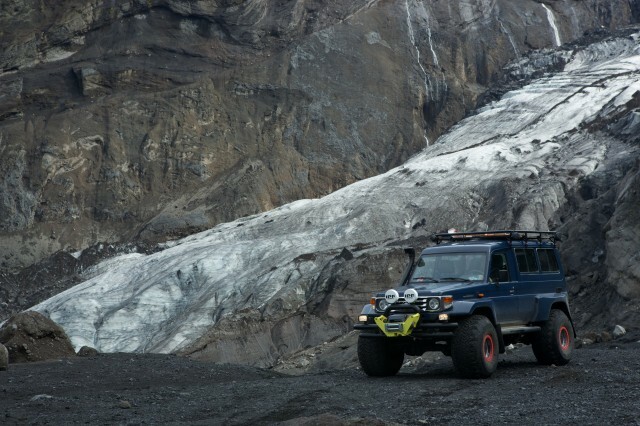 For the overlander, the ideal months to visit are the core summer months of June, July and August. Spring snows will conspire to keep many of the interior roads closed and early fall can bring with it harsh weather and snow. In just the last few years December through January have become popular months with those visitors wishing to experience the Aurora Borealis and the rugged beauty of Iceland’s winter. 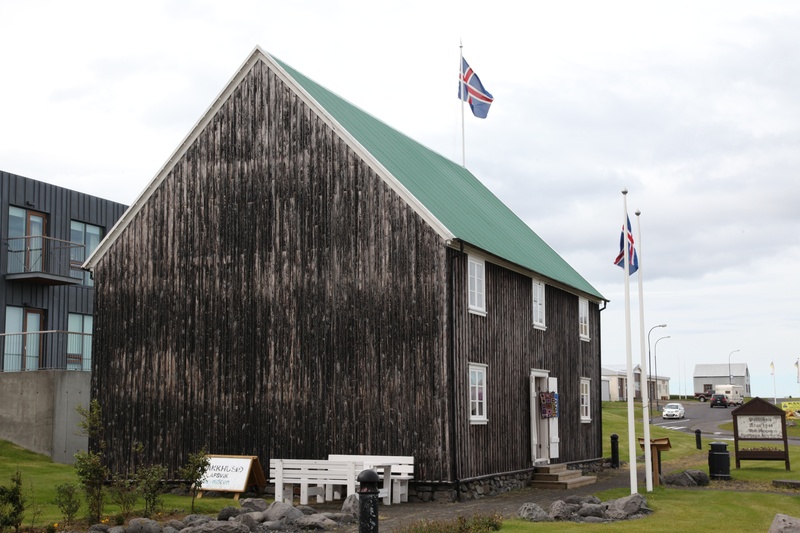 Flights to and from the main airport in Keflavik, just south of Reykjavik, can be found for reasonable prices, often for less than $1,300US. Flights to and from Europe and the United States depart several times per day making scheduling easily worked in your favor. 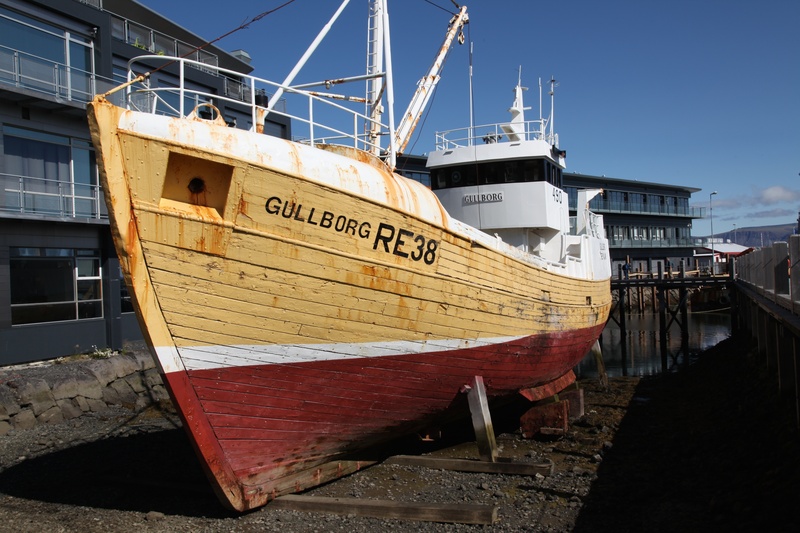 There are a couple of ferry services reaching Iceland from Europe, principally Denmark, but flights are the most commonly used means of accessing Iceland. Reykjavik as viewed from a vintage tour boat. Even those things reserved for the most touristy of tourists can be fun and worth a few krona. This bustling capital city has a decidedly Scandinavian vibe. Colorful wooden buildings and homes dot this waterfront city. 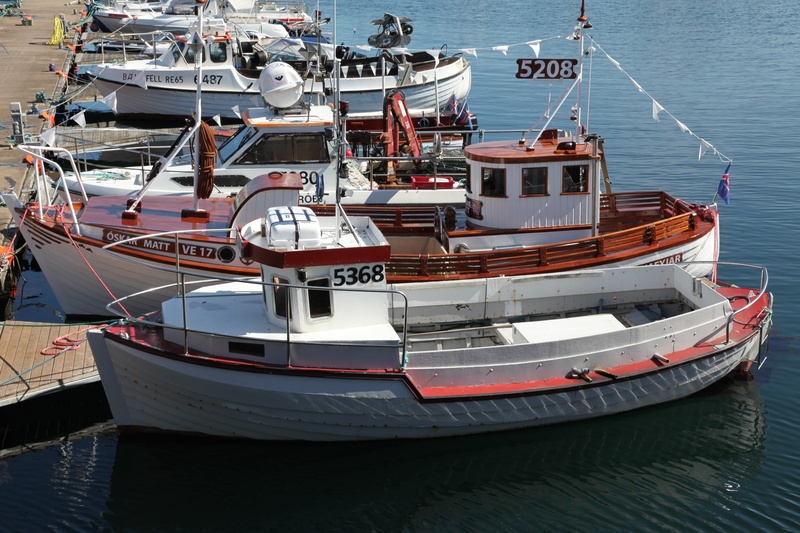 Fishing boats ply the calm waters of the large harbor as throngs of tourists amble about ducking in and out of the many shops and restaurants in the small city center. 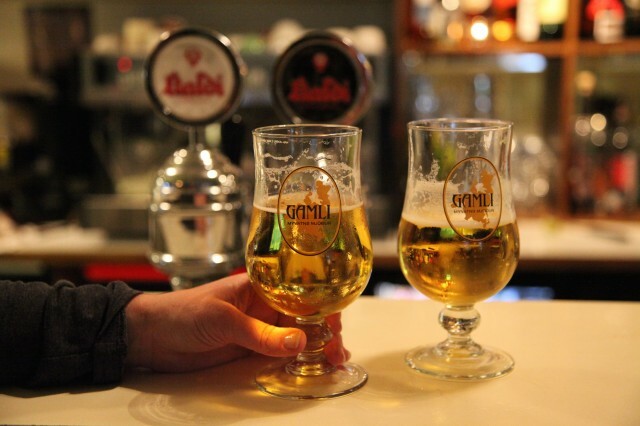 Reykjavik is best known for its rowdy nightlife and a quick walk by the hundreds of bars and clubs in the city is proof to its claim as one of Europe’s best party towns. A relatively compact city, it can be well visited with as little as a full day or two. The city center is vibrant with much to see and do. This fellow was just sitting off a gravel road mile from anything. 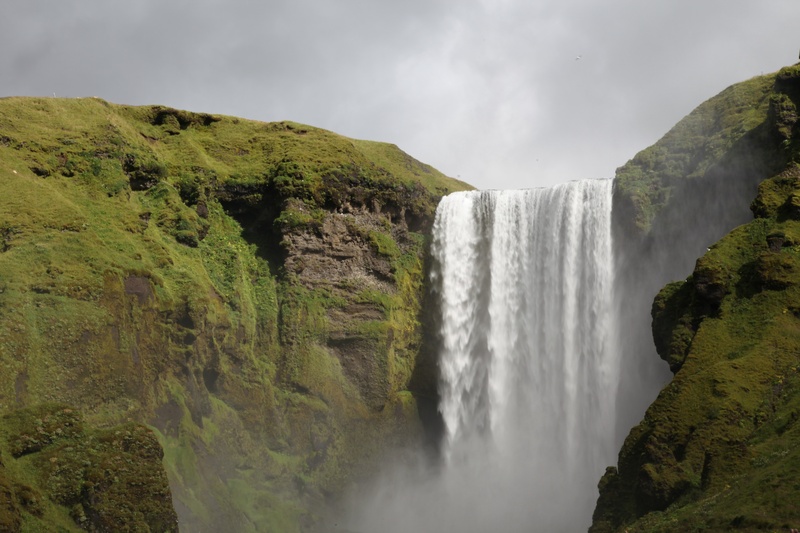 Iceland is one of the easiest countries in the world to visit. Visitors from the U.S. are granted a 90 day travel visa upon arrival. 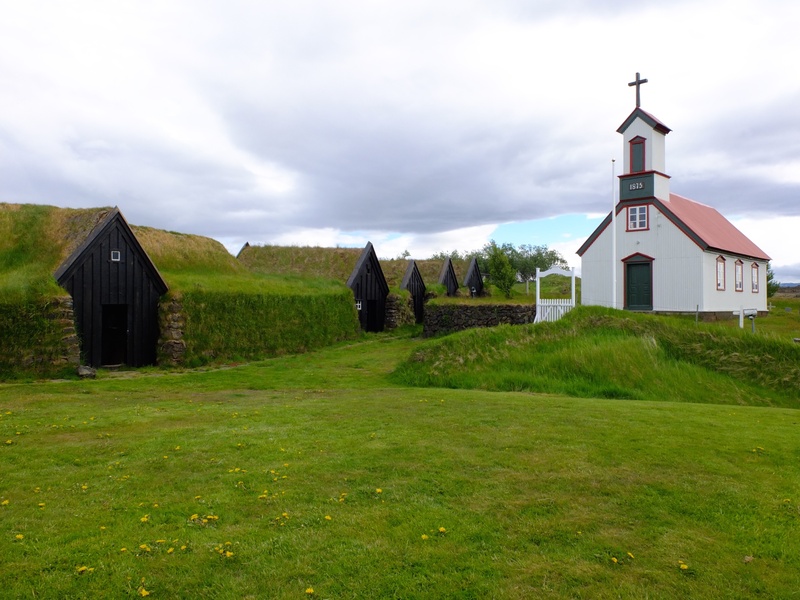 Iceland uses the Icelandic Króna, and being the sophisticated country it is, transacts most of their exchanges via debit and credit cards and offers ATM machines on every corner. Although the exchange rate often favors the dollar, the elevated costs of Iceland will drain your travel budget quicker than you may expect. Gasoline can fetch over $8US per gallon, beer in most restaurants can sell for over $10US a glass and a good hotel stay is frequently well over $200 per night. 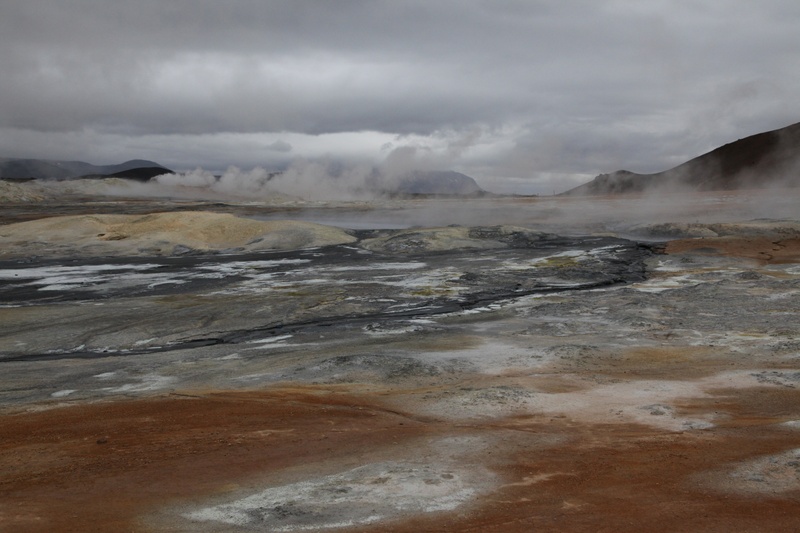 Iceland is if anything, an expensive destination. 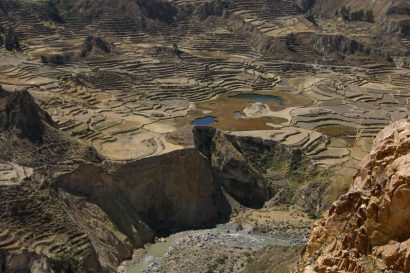 You can reduce the costs considerably by camping, cooking your own meals, buying beer and wine in small shops, and simply––overlanding. 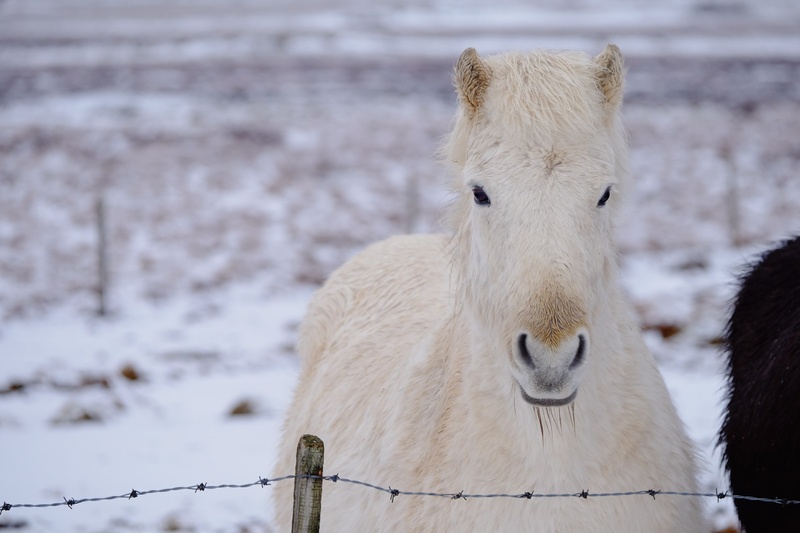 There are literally dozens of rental agencies in Iceland, many of them reputable and worthy of your patronage. A growing number of them are gaining a steady reputation for fleecing tourists, so do your homework. Blue Car Rentals: If you go, and require a rental agency, we recommend Blue Car Rental located a short walk from the airport in Keflevik. The proprietor, Magnus, is helpful and informative, his brother also eager to answer any questions or offer travel advice. Their vehicles are new, clean, and meticulously maintained. 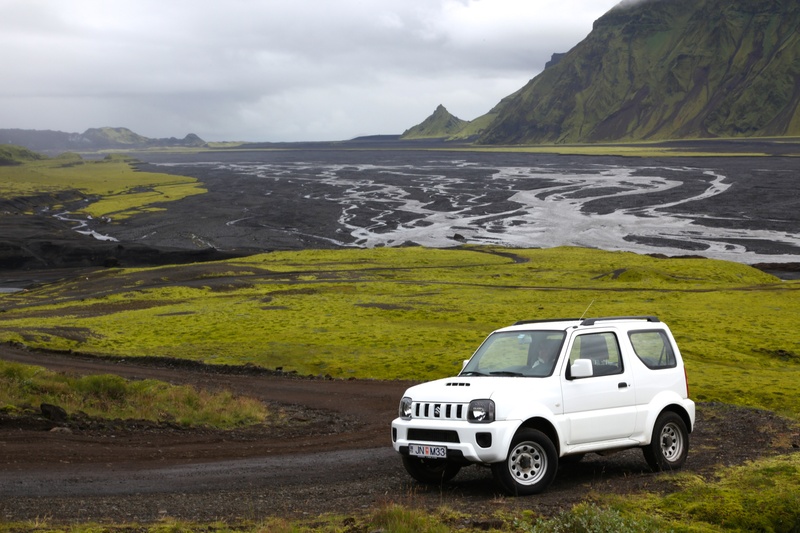 You can opt to rent a luxurious and capable Land Cruiser, or their more plucky alternative, the Jimny. 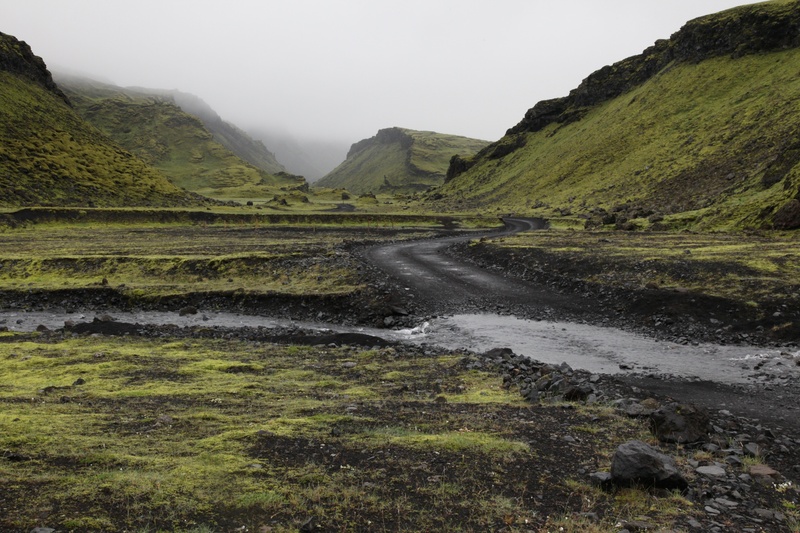 We’ve traversed the rugged backroads of Iceland in both and they each have their merits. 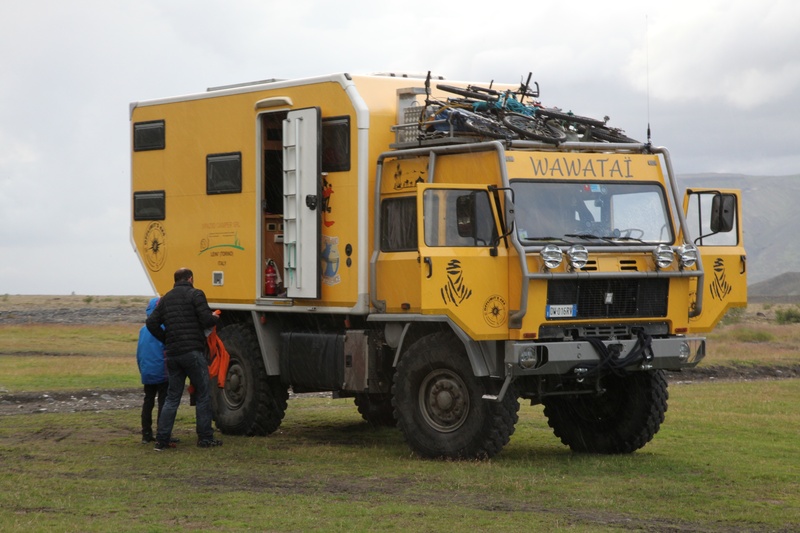 ISAK 4×4 Rentals: For those looking for the ultimate overland experience, look no further than ISAK. 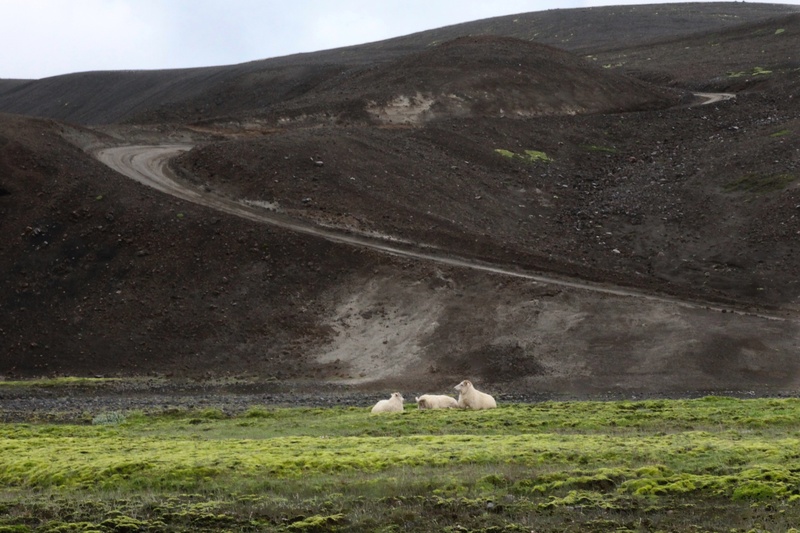 Spend any time wondering the remote wilds of Iceland and you will invariably see one of their many ISAK Defenders charging hard towards adventure. Offering rentals and self-guided tours, they are the premier off-road company. 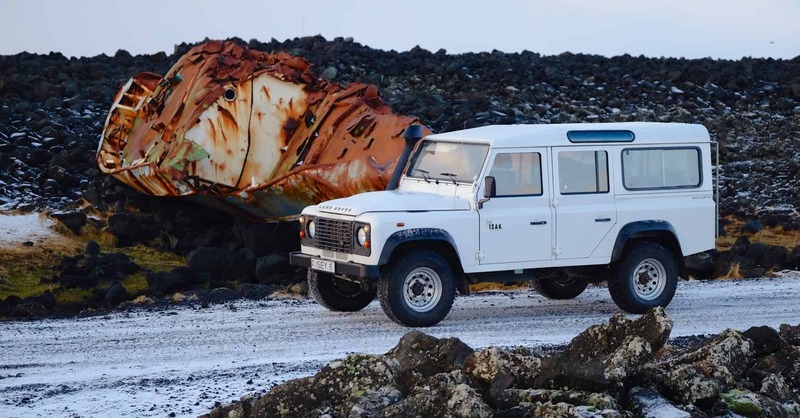 Scott and Stephanie Brady used a stunning ISAK Defender to circumnavigate the island in the dead of winter. 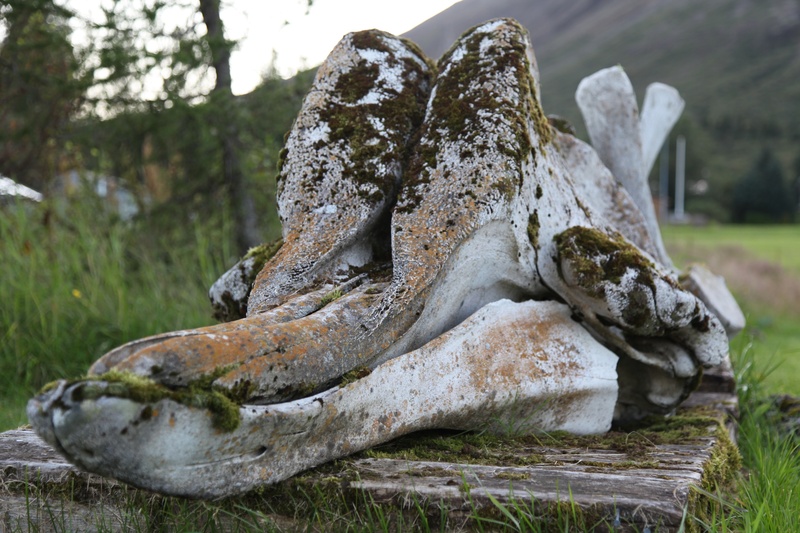 Arctic Truck Experience: If you really want something to talk about at every cocktail party until your end of days, make a call to Arctic Trucks and book one of their Arctic Truck excursions. 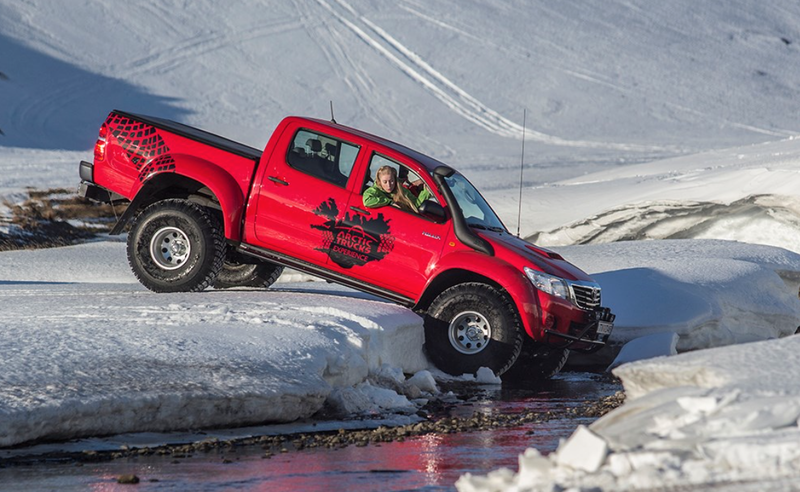 Slip behind the wheel of one of the most capable trucks ever built and use it to access places no other truck can. It won’t be cheap, and it will be over far to soon, but you won’t forget it. The Ring Road: As the name would imply, this road incircles the entire island. 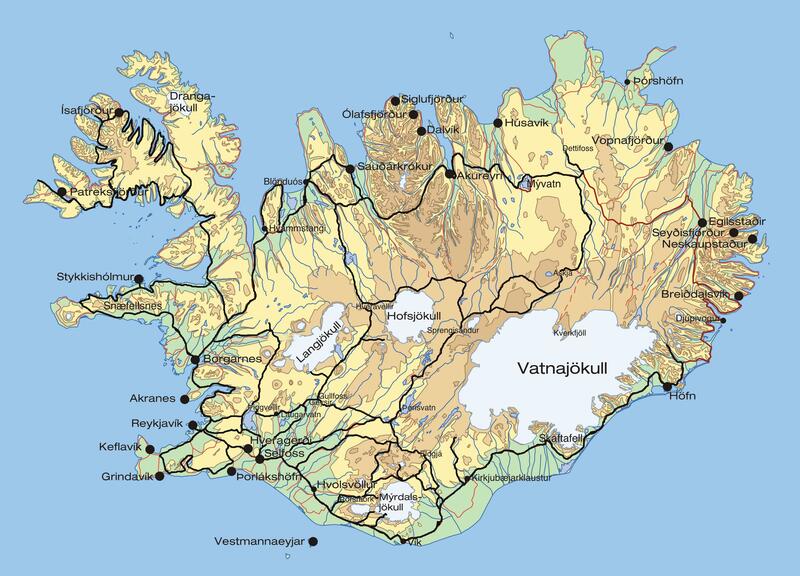 Also referred to as Route 1, this 850 mile paved highway is a popular attraction for many of Iceland’s visitors. Although it makes for a beautiful, if not long, drive around the island, it does skip the interior of the island altogether. Being one of the more well visited routes, competition for hotels and restaurants can become an issue, particularly during peak tourism months. 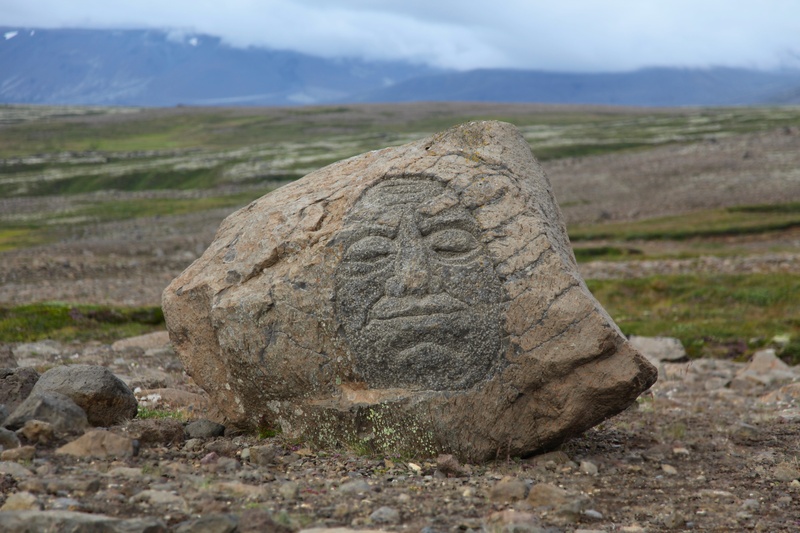 Frequently driven in as many as ten days, many travelers find 5-6 days is sufficient time to take in the sites. This winter our own Scott and Stephanie Brady completed the Ring Road in the dead of winter. What is an otherwise benign drive was made more interesting with blowing snow and freezing temperatures. 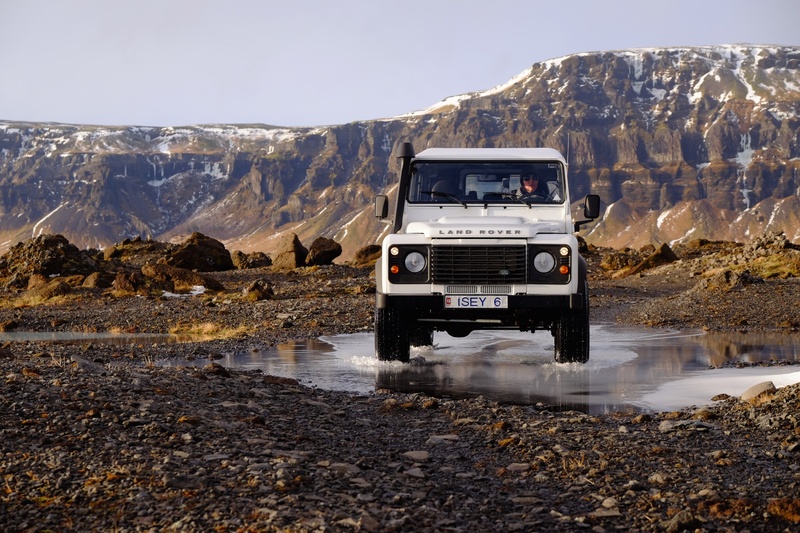 F-roads: For the overlander, the unpaved F-roads which weave their way into the interior will hold the most appeal. These roads are typically in very well maintained condition, the only difficulties presenting themselves in the form of potholes and corrugations. Most F-roads can be easily traversed in 2WD vehicles although most rental companies will prohibit using anything but approved 4WD vehicles. The only thing that will prohibit forward progress on some F-roads are the many and often impassable river crossings. Volcanic ash serves as the backdrop to this F-road just outside the popular destination at Landmanalauger. 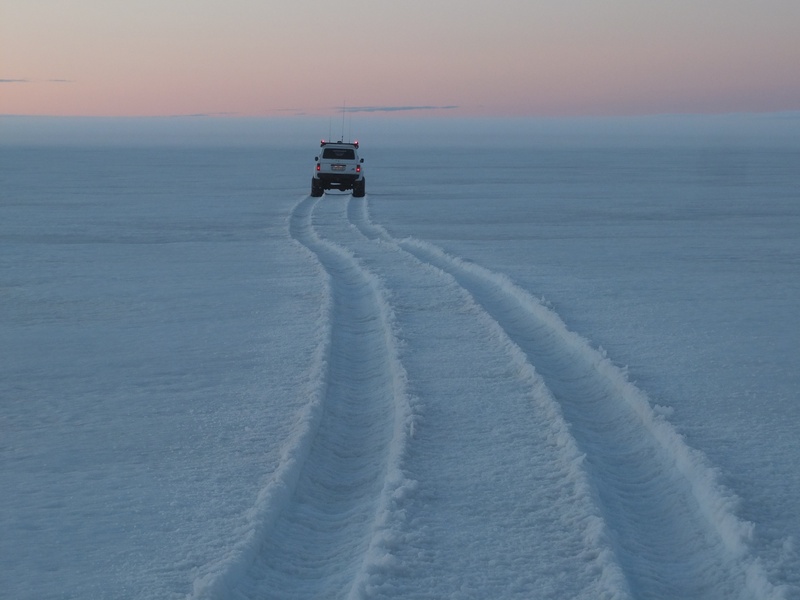 4×4 tracks and routes: If you drive enough F-roads, you will periodically see tiny two-track routes veering off into the rugged landscapes just off the road. Traveling these often unmarked tracks should be done with great caution. Not all of these tracks are open to traffic during certain months of the year. Knowing which tracks are open and when is something not often made known to non-locals. In many instances, that information is only made available by contacting the regional authorities. Traveling these routes when they are closed could at best lead to heavy fines. If the authorities detect any damage to the trail, they can impose even greater fines and other criminal charges with a maximum of two years in jail. 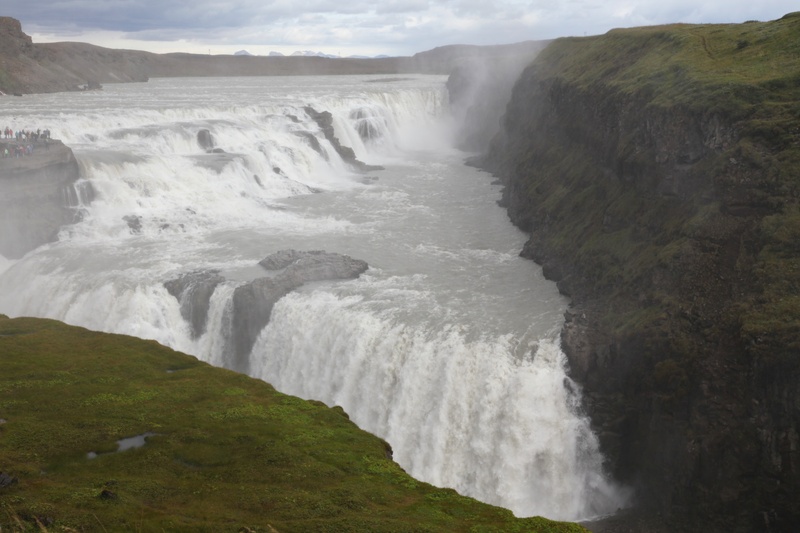 Rivers: If anything is going to stymy your forward progress in Iceland, it’s going to be a river. 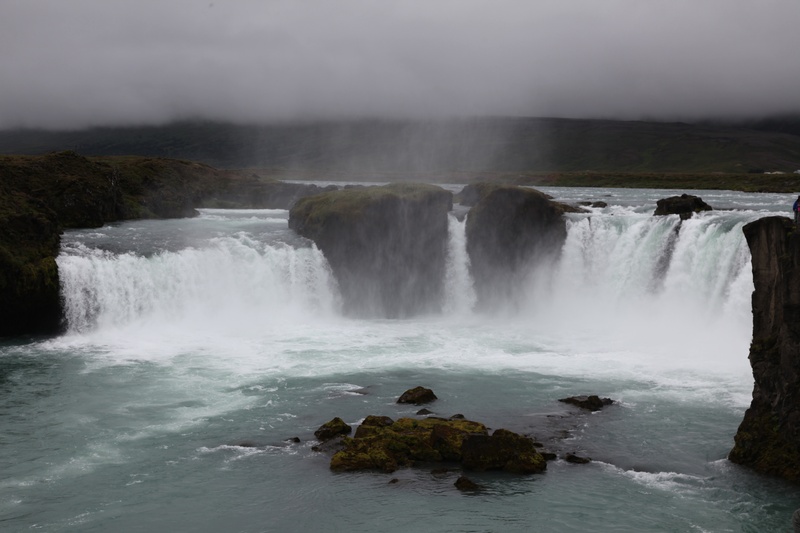 With frequent rain compounding the runoff from the many snowfields and glaciers, the thousands of rivers and rivulets that web the island will invariably cross your path multiple times per day. Most will be barely big enough two cover your feet. 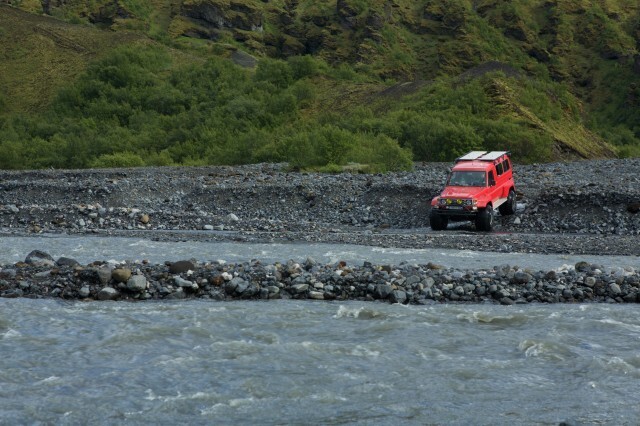 Many are deep enough to challenge the fording capabilities of a Unimog. 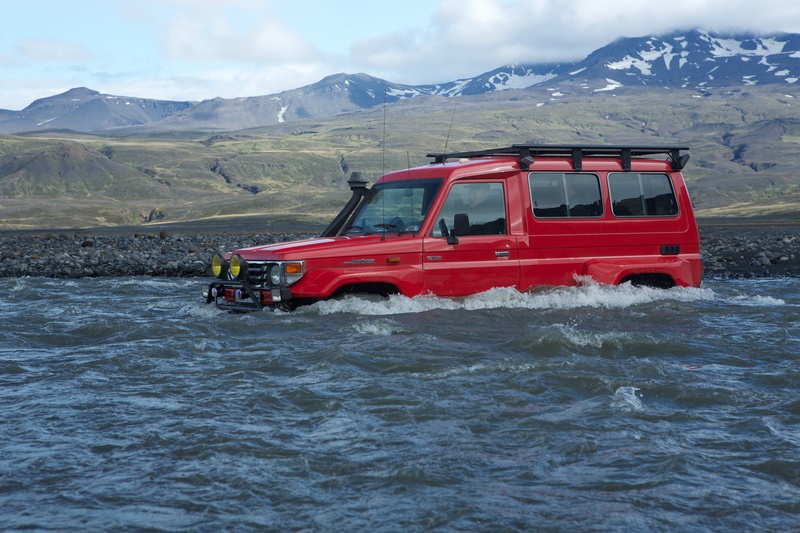 Knowing how to ford a river in Iceland is commensurate with traveling there. Another thing to keep in mind is how river fording factors into your insurance coverage. As soon as your wheels enter the water, your rental car insurance is invalid. If you submerge your rental, you are culpable for not just the extensive repairs or replacement, but the cost of extracting its soggy carcass from the river in which it swam. 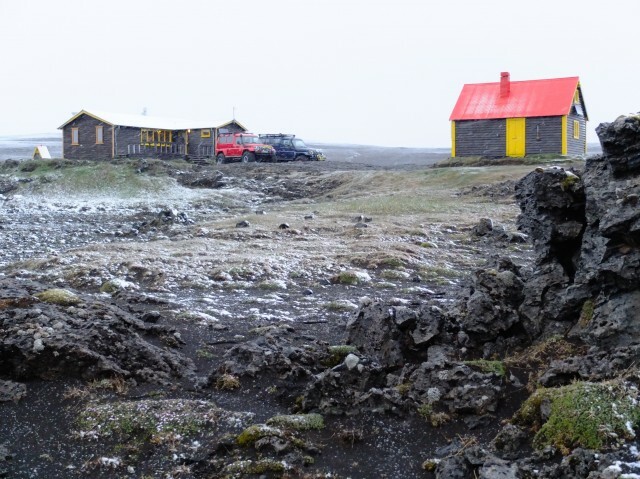 Weather: Given its position in the North Atlantic, Iceland’s climate is temperate, albeit temperamental. Months can pass without so much as a sliver of blue sky. Winds can literally rip the doors off your rental car or keep you pinned within depending on how you parked. 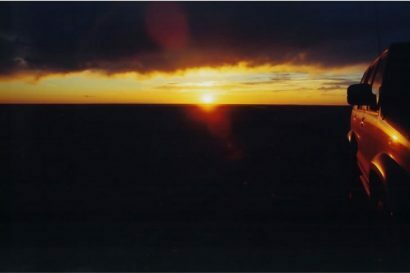 Rain can come down in torrents or trickle for days and weeks without respite. Because summer months offer nearly 24 hours of daylight, temperature swings are negligible. Noon and midnight can often share the same 55ºF summertime temperatures. Winter can be bone chillingly cold, which shouldn’t come as a surprise. 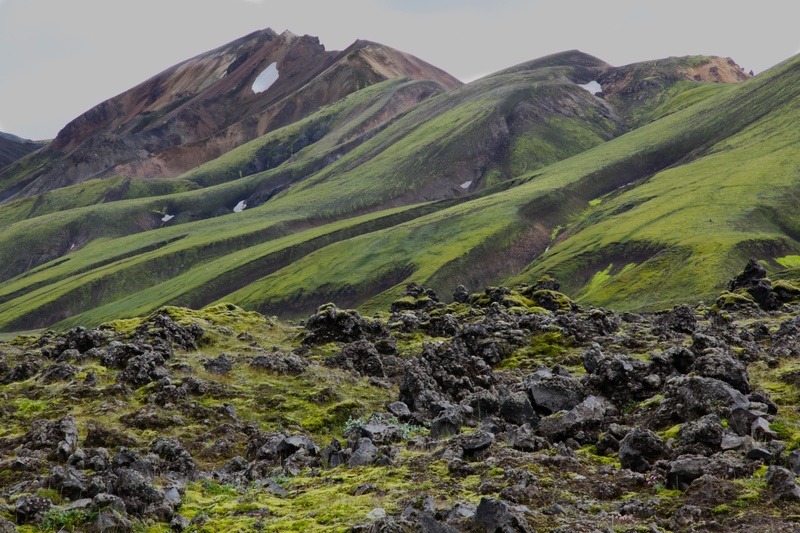 If you like nature, including it’s less idillic weather, you’ll love Iceland. 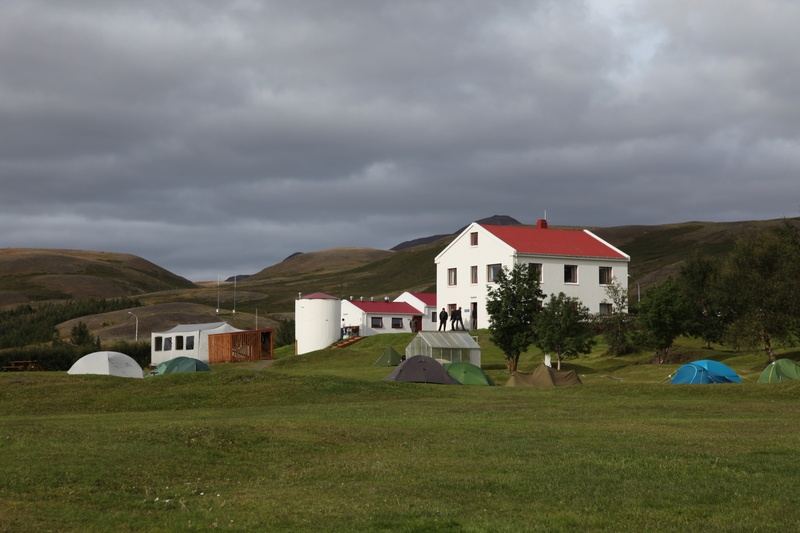 Camping and huts: Icelanders, and certainly those people who come to visit the country, love to camp. As such, competition for camping resources can present challenges. 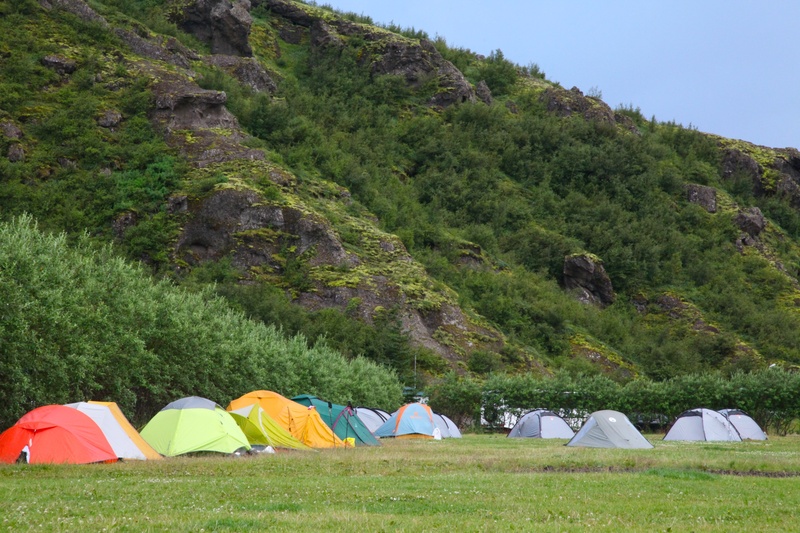 Many new visitors to Iceland arrive thinking they’ll plop a tent on the first plush clump of grass they find. Few realize the vast majority of lands along the perimeter of the island are private and as such are not conducive to impromptu camping. 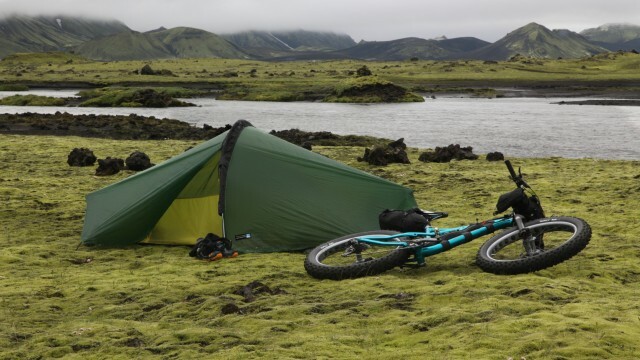 Even in the interior of the island, large swaths of land are either too rugged to make for a reasonable camp, or are off limits to wild camping. 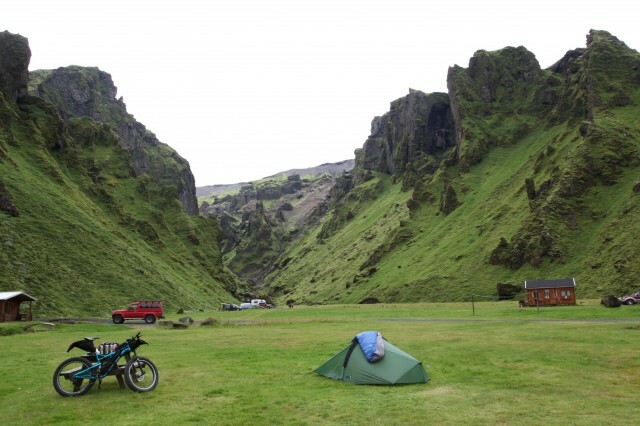 Researching your prospective camping areas in advance is advisable. There are dozens of designated campgrounds throughout the island. Some are a little more crowded than others, but most are inexpensive and well maintained. Several huts and lodges can be accessed by 4WD vehicle and can be very affordable relative to the comfort they provide. Camping with strangers may not seem like fun until you realize the local pub is within throwing, or should I say, crawling distance. Hotels and Inns: Due to the increasing demand for beds in Iceland, it is advisable to plan any hotel stays well in advance of your arrival. Distances between hotels can at times be lengthy, so driving around hoping for an impromptu crash is ill-advised. Guest houses are a popular option and are simply a riff on the bed and breakfast found in other countries. 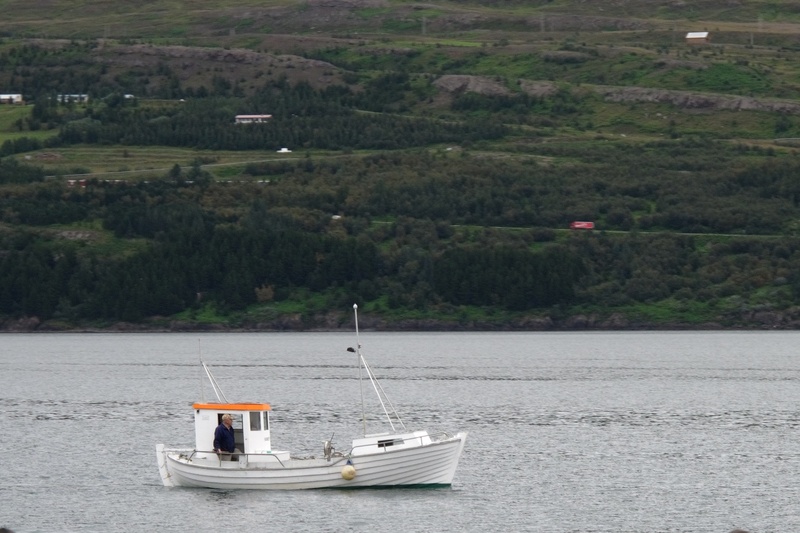 Fuel and supplies: Most maps of Iceland are deceiving. It would appear at first glance that little villages and towns abound, when in reality most maps list virtually every notable installation including family farms and even barns. What appears to be a village may only be a ruin of a family farm. 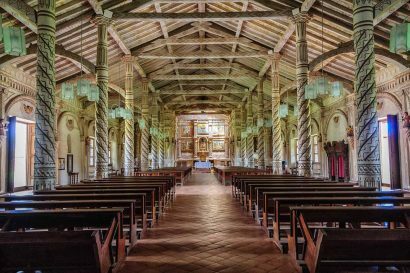 Stores and services can be modest, even in larger towns and the interior of the island offers––nothing. There are no fuel stations in the center of the island, nor are there any stores, hotels, or emergency services. Make you plan accordingly, and plan for your plans to change. Sites and must-dos: If you have a soft spot for waterfalls, Iceland is going to be your own personal nirvana. Although it would seem that every major fall has a paved road and a train of tour busses leading to it, many spectacular falls can be found in hidden hollows. We won’t tell you where those are. Finding them is part of the fun. Just look for the rising mist on the horizon. 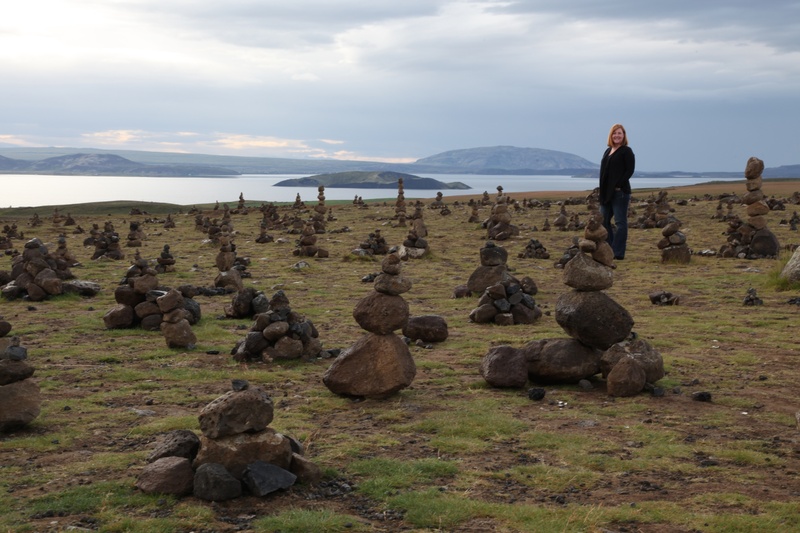 Although it’s easy to be swept away by the natural beauty of Iceland, the cultural treasures are equally endearing. 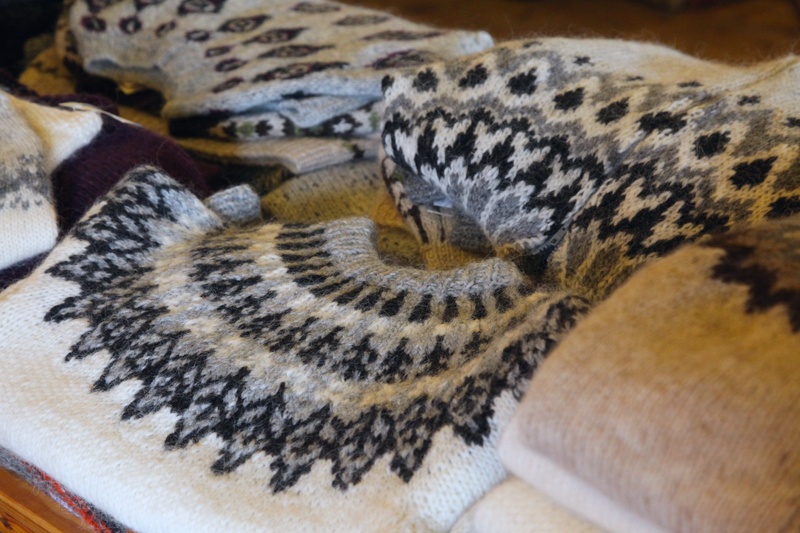 It may seem like a kitschy thing to do, but buy a local-made Icelandic sweater. 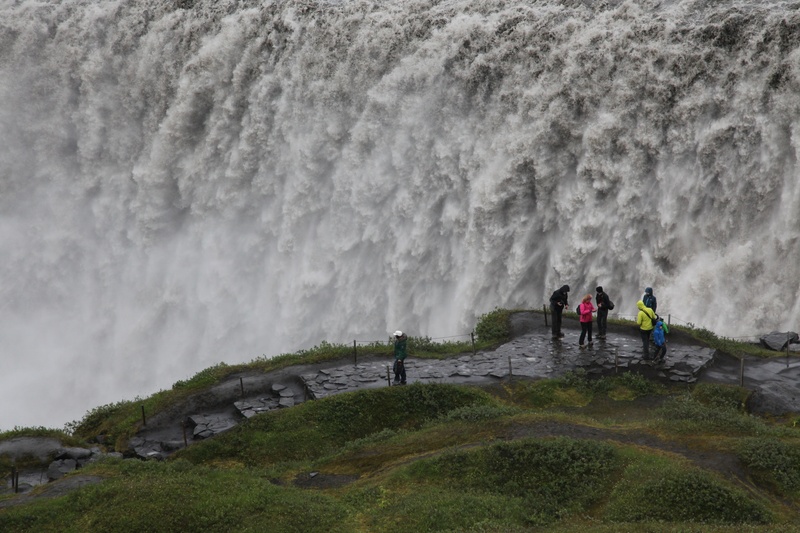 Better than any modern garment, they are ideally suited to the wet, cool and windy weather of Iceland. There’s much to do beyond the windshield of your rented vehicle. 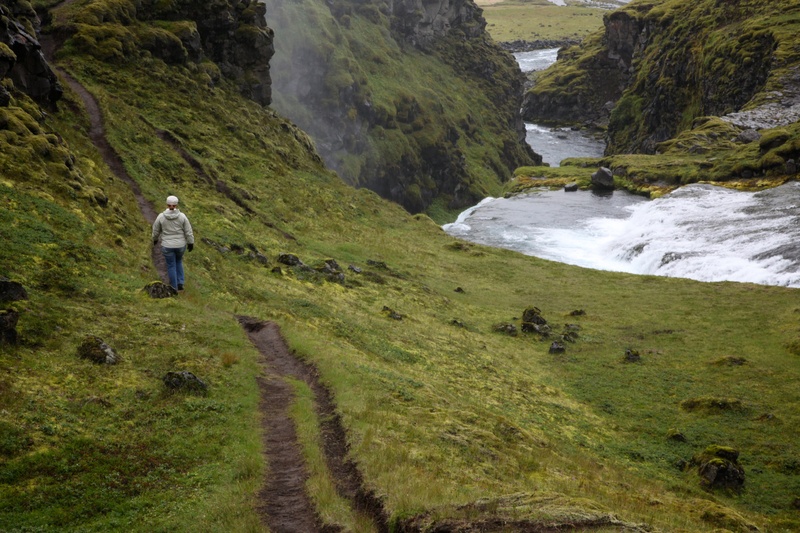 Take a boat ride, go for a hike, take a horse for a trot through the mossy green. Try some local fare, go for a bicycle ride on the black sand beaches. Just know that even if you manage to fit it all in, it will never be enough. If you’re anything like us, you’ll want to go back.